this week i am all about layers, stripes and boots. oh, and polka dots. sunday was all about black, brown and leopard. our fake-fall texas weather was just barely cool but i had my heart set on breaking out my boots again (we have a relatively short boot weather window which hurts my heart), so i thought cool thoughts. y'all might not think brown boots would be the best choice for a black dress but y'all would be wrong. black boots are perfectly fine for a monochromatic look, but i think the contrast of black and brown is more interesting. also? i don't own any black boots. and while we are speaking of boots, i have serious boot fever for some cognac riding boots, however i am ignoring my fever to the best of my ability because how many brown boots does one girl really need? layers, even in accessories, are your friends. 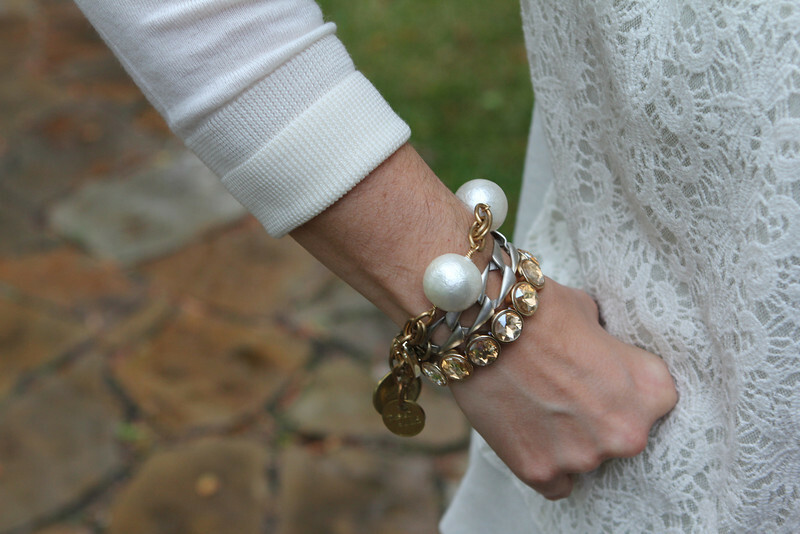 layer a long necklace under a scarf and stack your bracelets. go for it! fashion is supposed to be fun, y'all! 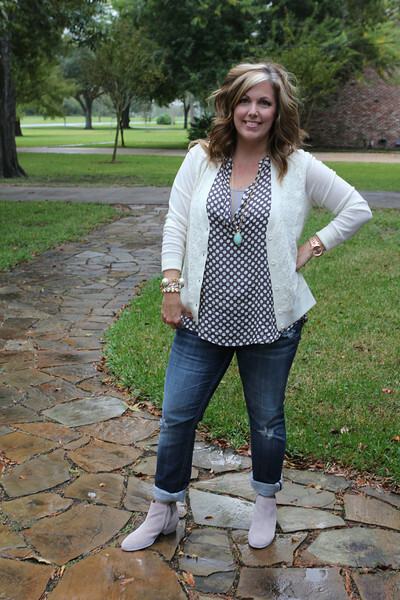 monday was all about polka dots, lace and ankle boots. 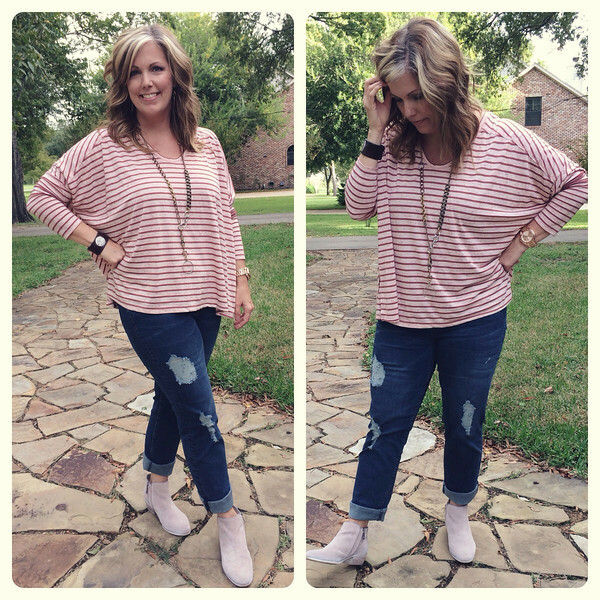 tuesday was all about slouchy stripes and comfy jeans. that's it for this week's style. Hi. 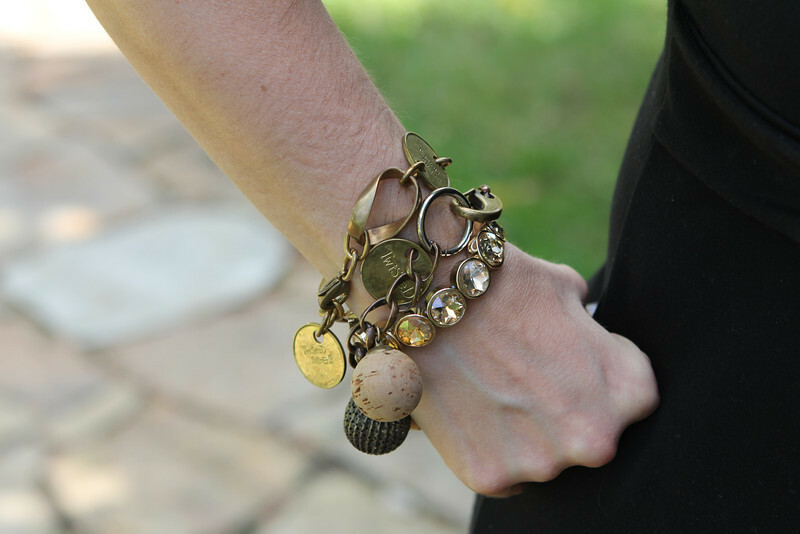 I love your layers and your jewelry. Such cute style. Happy Wednesday! Thanks so much! 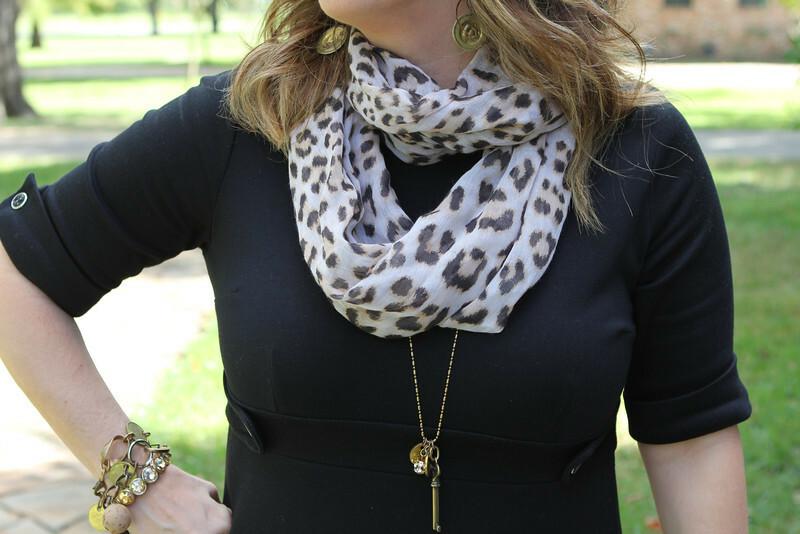 Layers--either in clothing or accessories--give so many more options, so I love them too. I love black with brown boots too. I think it totally works!! You look gorgeous and I love the boots and bracelets in both looks! Thanks for your kind words! Black and brown mix pretty well, now I want to try mixing some grey in too. Maybe someday I'll get brave enough to mix patterns! Love all the outfits and layering, was also wondering if the black dress and polka dot blouse were recent purchases? Thank you! The dress was from a few years ago but the polka dot blouse was from just a few months ago. It's sleeveless and from Nordstrom--hope that helps! Super cute, all of them! 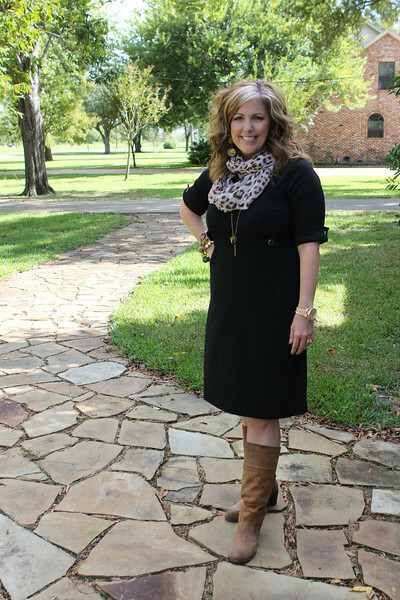 I love mixing black and brown - I think those boots go perfectly! Thanks so much! I think I have a brown boot obsession! Cute! 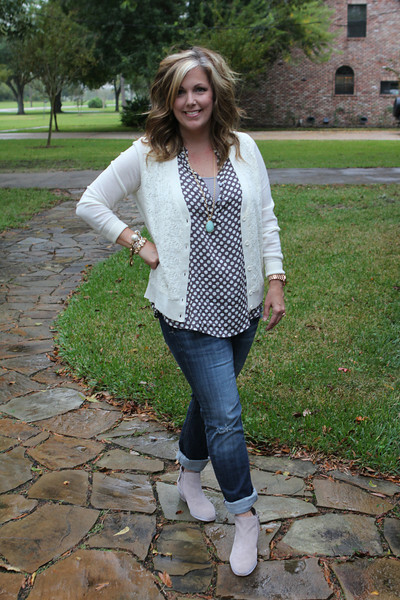 I really like the lace and polkadots-I need to check out Nordstrom! Thank you! Nordstrom is a win-win with their free shipping and free returns--it's dangerous! I'm coming out from the blog stocking that I've been doing for a while. I found your site off of Jill's. 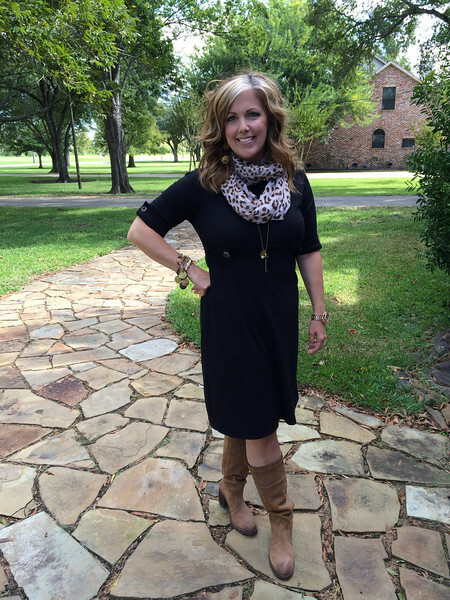 I love your what you wore Wed. I am very challenged in the wardrobe dept and I like to see how you pair things together. I just wished you lived in UT so that you could take me shopping and show me how to dress! Love your style.